With the 4th of July just around the corner, I thought it was a good time for a red, white and blue parade of projects. 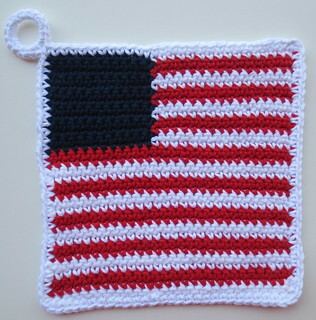 These are taken from my prior shared patterns and feature a variety of fun items for the upcoming celebration of our country. First a few projects honoring the US flag. 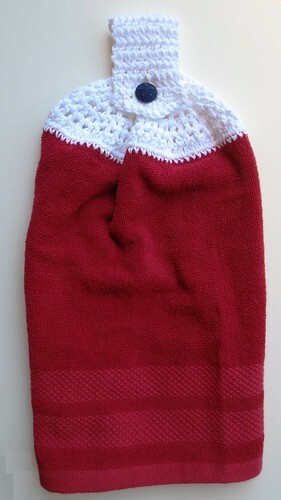 Here is a crocheted dishcloth and matching potholder. 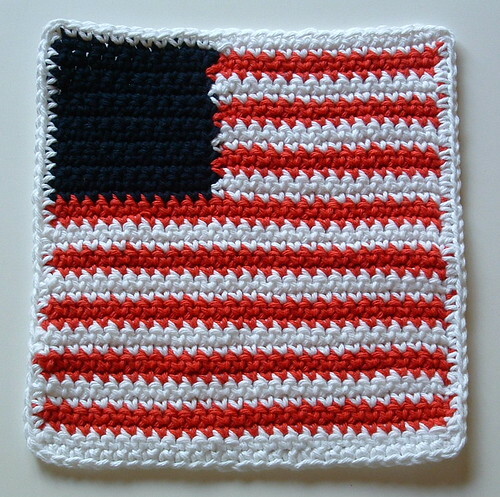 Here is the pattern link for the crocheted flag dishcloth and the details for the flag potholder pattern. 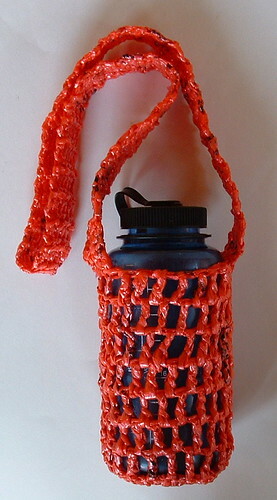 Maybe you need to water bottle holder, if so check out this handy plarn water bottle holder made from recycled plastic newspaper bags. 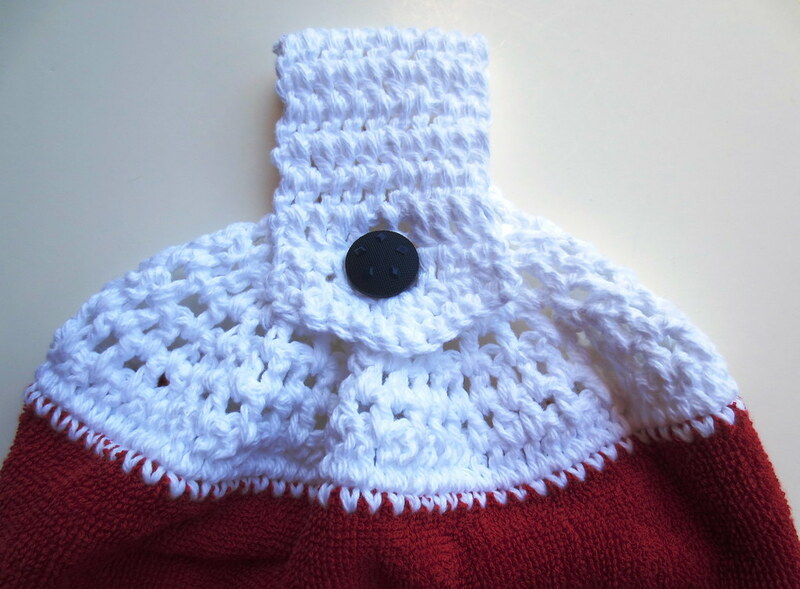 The free crochet pattern for the plarn water bottle holder is found here. Should you need a tote bag to carry all your things, you might consider this all American plarn tote bag. 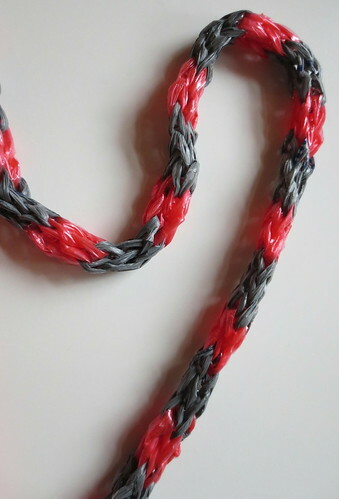 You can find this plarn tote pattern here.